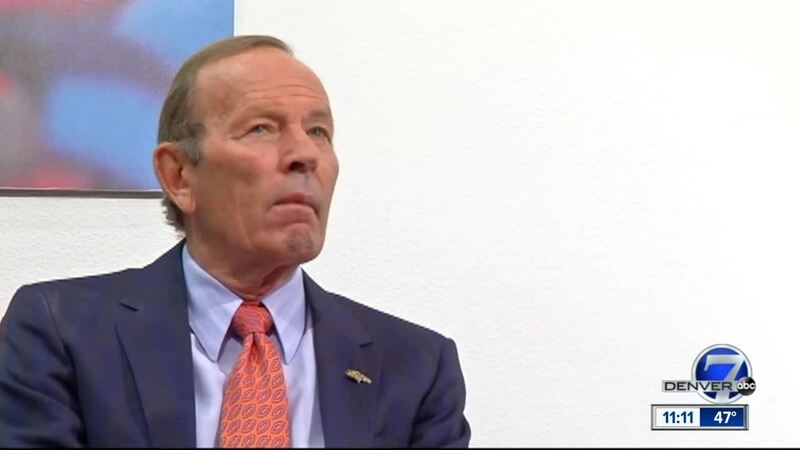 Needing 80 percent of the vote from the 48 selection committee members, Pat Bowlen should finally reach the Hall of Fame. His bust has long deserved to stare back at visitors in Canton. Bowlen will not be in attendance for Saturday&#39;s announcement in Atlanta, stricken with Alzheimer&#39;s that forced him to step away from daily operations prior to the 2014 season. Bowlen would not want all the fuss. In fact, he would prefer the Broncos celebration center around his players. Cornerback Champ Bailey, considered a virtual lock, and safeties John Lynch and Steve Atwater are also finalists. (All are pictured above). DENVER — Before the three Super Bowl wins, before the 18 playoff appearances, before the 12 division titles, Pat Bowlen was viewed with suspicion. Who was the Canadian who bought the Denver Broncos, a local, if not regional treasure? Did he love the game? Was he driven to win? What were his plans? A glimpse was provided in February 1984, a month before he purchased the Broncos for $78 million. Bowlen finished 135th out of 1,100 entrants in the Ironman Triathlon in Hawaii. A few years ago, longtime Broncos trainer Steve Antonopulous smiled when sharing this anecdote about his good friend, who would often ride his bike or run from the airport to the team hotel on road trips. "I will always remember his competitiveness," Antonopulous said. "None of the success was possible without him. He always wanted to be the best at everything he did." Saturday, he is expected to receive that honor. Needing 80 percent of the vote from the 48 selection committee members, Bowlen should finally reach the Hall of Fame. His bust has long deserved to stare back at visitors in Canton. Bowlen will not be in attendance for Saturday's announcement in Atlanta, stricken with Alzheimer's that forced him to step away from daily operations prior to the 2014 season. Bowlen would not want all the fuss. In fact, he would prefer the Broncos' celebration center around his players. Cornerback Champ Bailey, considered a virtual lock, and safeties John Lynch and Steve Atwater are also finalists. (All are pictured above). Bailey checks all the boxes as a first-ballot entrant, earning All-Pro honors eight times and 12 Pro Bowl berths. Deemed one of the greatest athletes to ever play the position, Bailey is hopeful. "I just really want to enjoy the moment," Bailey told the Broncos website. "Not getting in would be one of the hardest things, but if (Bowlen) gets in that would be awesome. That would be something to celebrate." Bailey, Atwater and Lynch are attempting to become the first defensive players during Bowlen's tenure to reach the Hall. In recent years, Canton has eased its perceived slight against Denver stars, opening its doors to John Elway, Shannon Sharpe, Terrell Davis, Gary Zimmerman and Floyd Little. Atwater was a man before his time. Had he played in the modern era with teams passing 35 times a game, his excellence would have been easier to see. He instilled more fear than Wes Craven, crushing receivers on crossing routes. Safety Ed Reed, a likely entrant, endorsed Atwater's candidacy as have many others. Atwater played his best when it mattered most, combining for 10 tackles, one sack and three passes defensed in the Broncos' back-to-back Super Bowl crowns in Super Bowls 32 and 33. He was also named to the NFL's All-Decade Team of the 1990s. "We will see what happens," the forever humble Atwater has told Denver7 on numerous occasions. Lynch is a six-time finalist for the Hall of Fame. He earned a ring with Tampa Bay in 2002 where he forged a reputation as an enforcer. He capped his career with a string of Pro Bowl berths in Denver, capping off nine appearances in the game. "Each and every year, I hope I get in. But I pinch myself knowing what an honor it is to be here," Lynch told the team's website. "It reminds me to say that, 'You did all right.'" For Bowlen, the wait must end. There's no reason he should have stood outside the doors this long when looking at his resume. He is one few owners to cut a wide swath. He played a pivotal role in the league's television growth, securing labor peace, global branding and securing funding for new stadiums. And there was all those wins and a sellout in every home game sine he purchased the club. "It's time. This is the year," CEO Joe Ellis said. "And it will be a great thing for him and a well-deserved honor. We will all be very happy when it happens."